Even good people fall on hard times. Bankruptcy is not the end of the world, but you do need to protect yourself while going through the process. We can help ensure you are treated fairly and not taken advantage of during this most trying time. Personal Injury Lawyer serving Charleston South Carolina and the surrounding Tri-County areas of Charleston, Berkley, and Dorchester including but not limited to the citizens of Mt. Pleasant, Isle of Palms, Sullivan's Island, McClellanville, Charleston, North Charleston, James Island, Johns Island, Kiawah Island, Seabrook Island, Wadmalaw Island, Folly Beach, West Ashley, Hollywood, Ravenell, Edisto, Meggett, Ladson, Summerville, Monck's Corner and Goose Creek. If you have been injured by no fault of your own and need legal representation from an experienced attorney in S.C. please call us for a free consultation. Were you harmed by your medical provider? Our clients have suffered serious injuries or devastating losses. They need compensation for their injuries as soon as possible, but they also need that compensation to cover all of their losses. 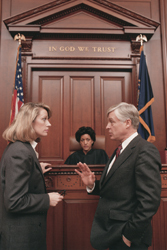 If they aren't being treated fairly by the insurance company - if their personal injury or accident claim has been wrongly denied or they are being shortchanged for their medical malpractice injury - they need a strong and aggressive advocate in court.The Toney Law Firm of South Carolina can provide you with professional legal representation necessary to get you what you are due. We believe these recalls are much like shutting the barn door after the horse is out. Our South Carolina product liability experience often used by pharmaceutical companies, toy companies, and automakers. Rather than lose millions or billions of dollars by recalling defective products that endanger our health and safety, they choose to profit by hiding the defects and continuing to make and sell defective products. With this unconscionable strategy, they take a carefully calculated risk that they will generate profits greater than the costs of lawsuits if they should get caught. Please feel free to contact Toney Law Firm of S.C. for a consultation if you feel you might be victim of such carelessness. Medical Malpractice - When doctors violate their oath to do no harm, victims and their families deserve justice. Doctors make mistakes – we all know that. 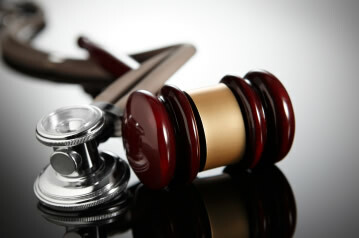 The medical malpractice attorneys at Toney Law Firm can help. Dennis R Toney has extensive experience investigating, preparing and presenting successful injury cases in court. The Toney Law Firm has developed a broad network of investigative and technical experts and medical specialists, critical care nurses, doctors, and other accredited individuals. 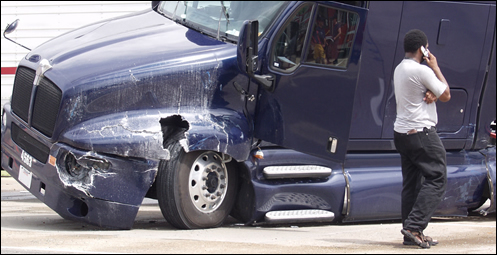 We use these experts to gather evidence, determine the cause of accidents and understand the impact of injuries. We then use the latest in courtroom presentation technology to help explain complex information to juries so they can understand why our clients need - and deserve - the compensation they are seeking. You CAN afford to hire a Charleston, SC area injury lawyer with the skill, the resources and the track record of results that you'll find at The Toney Law Firm. We handle all personal injury and wrongful death claims on a "contingency" basis. That means you pay NO FEES unless we obtain a settlement or verdict for you and yours. If you were seriously injured or your family recently lost a loved one to the wrongful actions of someone else, contact our lawyers online or call our Charleston, SC personal injury law offices toll free at 866-214-0801 for a free, no-risk consultation. Call us for an in office appointment or if you can't make it to us, we can come to you. Office located convenietly in West Ashley.